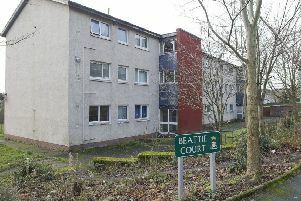 A drug dealer responsible for 10 Hawick youngsters being hospitalised after he sold them pink pills has been shown mercy by a judge and allowed to remain free. Jamie Thomson, 21, was facing jail after admitting culpably and recklessly selling tablets of an unknown substance, resulting in the youths falling unconcious and requiring urgent medical treatment. However, sentence was previously deferred after Lady Morag Wise was told Thomson had enrolled on a year-long residential programme run by a Christian charity in Kilmacolm, Renfrewshire, aimed at helping young men kick drink or drug addictions. When the case recalled at the High Court in Edinburgh last week, Lady Wise took the unusual step of admonishing Thomson for the offence to reflect the transformation in his life said to have taken place in the meantime. Police in Hawick were alerted to the problems caused by Thomson’s pink pills in 2015 after a 15-year-old boy was seen standing on a bridge outside a school apparently under the influence of drugs. He was taken to the Borders General Hospital at Melrose and told medics there that he had taken “one pink jelly”. Other youngsters fell ill too, and tests carried out on some of them later revealed traces of benzodiapine, a psychoactive drug, in their urine. Thomson, formerly of Peebles but now living in Leith in Edinburgh, had admitted culpably and recklessly supplying tablets of “an unknown noxious psychoactive chemical substance or substances” to youths in exchange for money, putting their lives at risk by rendering them unconscious or insensible and requiring immediate hospitalisation and emergency treatment. That offence was committed between August 18 and 21, 2015, at his then home in Hawick’s Havelock Street and elsewhere in the town, just days after Thomson had been freed on bail at Jedburgh Sheriff Court for another offence. The High Court was told that Thomson was selling the pills for £1 each, claiming they were legal highs from Thailand. However, 10 teenage boys, aged between 14 and 18, fell ill and had to be treated in hospital. It emerged that over the last three years, though, Thomson has turned his life around in a positive fashion by attending and completing various programmes approved by the court. As a result, Lady Wise admonished Thomson and dismissed the case.